Our most recent project has been the replacement of the village Bus Shelter. We investigated various options for a new bus shelter and the general consensus was to have structure that fits in with the keeping of the village. The original bus shelter was constructed circa 1946 with funding from a local parishioner and the bench was donated by the WI. 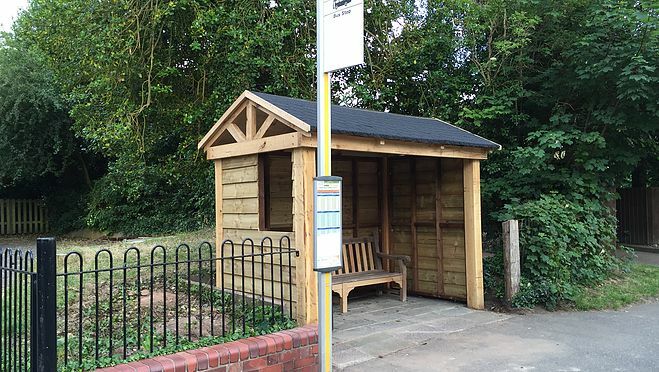 The new bus shelter has been hand built out of green oak by a local joiner who has also refurbished the original bench. It is hoped that this new structure may remain as an asset to the parish for many years to come.